New Bray Wanderers owner Niall O’Driscoll intends mending fences with the local community following a torturous couple of years for the League of Ireland club. Confirmation that the 57-year-old, chief executive of O’Driscoll/O’Neill insurance and chairman of local club St Joseph’s Boys, was taking control of the struggling outfit was conveyed to the playing staff before training this evening. Tomorrow’s match between the Premier Division basement side Bray and title holders Cork City at the Carlisle Grounds was in danger of falling through after the players voted last week for strike action over delayed wages. That pay-run for June was eventually paid, as will the latest salaries due to players tomorrow. Although Bray and St Joseph’s Boys have a formal partnership, this is a standalone deal solely involving O’Driscoll. And, unlike his predecessor Gerry Mulvey, who may retain a small stake, the new owner doesn’t have the sale of the Carlisle Grounds underpinning his business plan. O’Driscoll is fully focussed on generating a connection between the local community in Bray and around the county Wicklow, an essential element markedly absent over the past two seasons. As a club without a major fanbase, the ongoing friction between the hierarchy and supporters compounded matters, leading to a pitiful attendance of just 271 at their most recent home match against Sligo Rovers. Bray currently sit six points adrift at the foot of the table with 10 game remaining, rendering their task of avoiding the drop a major challenge. Still, O’Driscoll is building for the longer-term by planning to hold public meetings in the coming weeks and populating the team with graduates from their underage ranks. It seems certain that the playing budget, which the club evidently couldn’t afford, will be reduced next season, irrespective of which division the Seagulls are in. 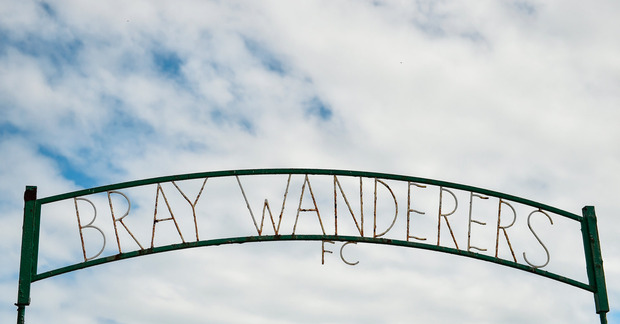 “I firmly believe that by working closely with the local community, staff and volunteers, we can develop Bray Wanderers into a club that the people of Wicklow are proud of,” said O’Driscoll. “My background at youth development, as a UEFA-licenced coach and manager of both boys and girls teams at local and national level, naturally forms my view that home-produced players are the key to the future of Bray Wanderers. The successful businessman has long been associated with Bray as the figurehead of their partner, St Joseph’s Boys. The schoolboy club have a prolific record for producing players, including senior internationals Paul McShane and Andy Keogh. Whatever about the long-term outlook, O’Driscoll wants those who disconnected with Bray to return to the Carlisle Grounds, starting tomorrow. “I would encourage the people of Wicklow, fans and businesses, to support their local club, beginning with Friday’s important match at the Carlisle Grounds against champions Cork City.